As December approaches, the festive season starts to take effect. The Streets are lined with red ribbon and fairy lights and inside homes Christmas trees make their mark. 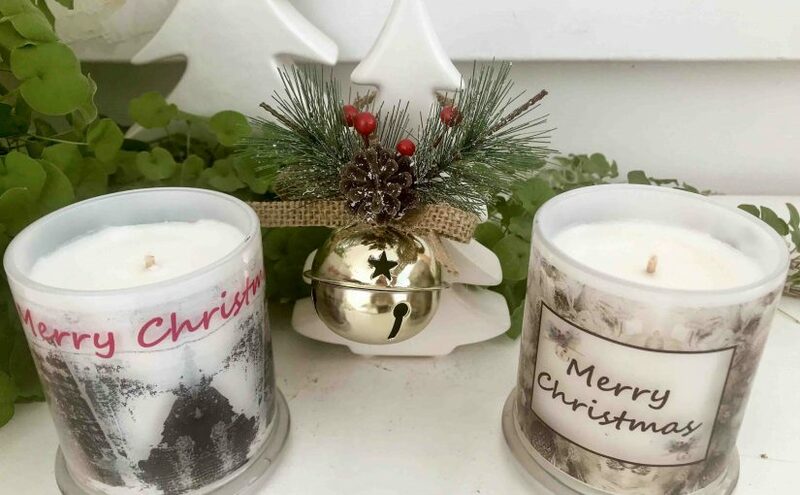 This year we are adding to the styling inside homes with Designer Christmas Candle decorations. 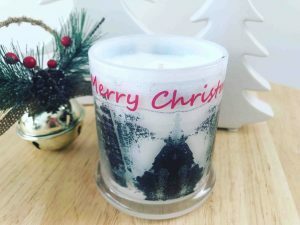 They add a beautiful touch to the Christmas Table set amongst all the bon bons, angels and holly and have the added benefit of not only providing beautiful visions but also providing beautiful scents of vanilla or coconut and lime depending on the candle chosen. 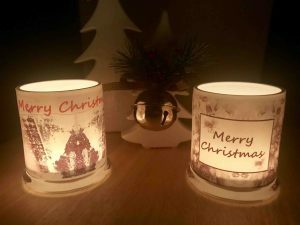 When the lights are dimmed on Christmas night and only the fairy lights from the trees are sparkling, the Christmas Candle decorations will also still be providing the ambience as the candle burns down beginning to illuminate the Christmas artwork.